The recent Blackout beta for Call of Duty: Black Ops 4 was so much of a success for Treyarch that the analysts at Piper Jaffray have decided to raise the sales estimate for the game. As reported in late July, their initial estimates were that it would have sold 21.5 million units by the end of 2018. However, Piper Jaffray has now issued an updated report raising the estimate to 23.5 million units. What do you get when you take the largest annual gaming franchise on Earth and combine it with the most popular new game mode? — We believe the answer is EPS upside. 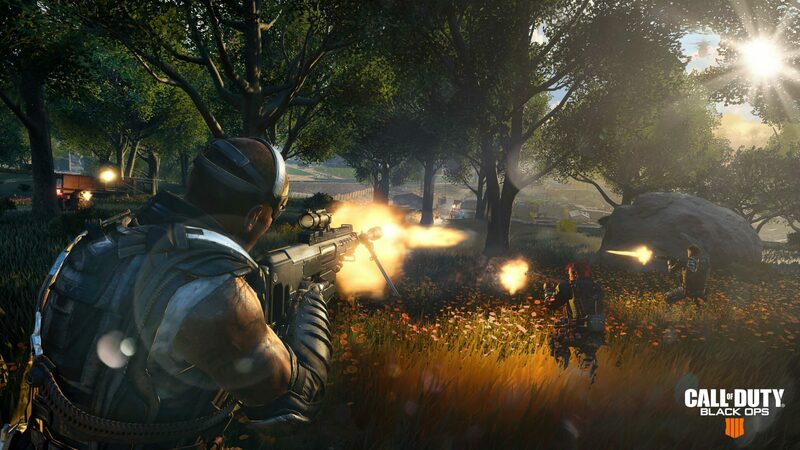 We are raising our ’18 EPS to reflect higher Call of Duty Black Ops 4 units and digital ingame revenue based on confidence in the core game and its accompanying battle royale mode, “Blackout.” Early gamer and critical feedback on the Blackout beta has been positive. The Blackout mode YouTube trailer comments, for example, are favorable with a 20-to-1 likes-to-dislikes ratio. Based on the positivity around the core game and Blackout, we are raising our ’18 Call of Duty Black Ops 4 unit estimate to 23.5m (from 21.5m) and increasing the estimated digital revenue contribution from the game in both CY18 & ’19. Black Ops 4 is due for release tomorrow on PC, PlayStation 4 and Xbox One. It will be the first time Call of Duty skips a Steam release, with PC fans required to use Activision Blizzard’s Battle.net instead to play the game.